OZIGEN - Australian Genealogy - William Porter Perks and Gladys Amy Robinson. Photograph provided by Pat Sprigings. 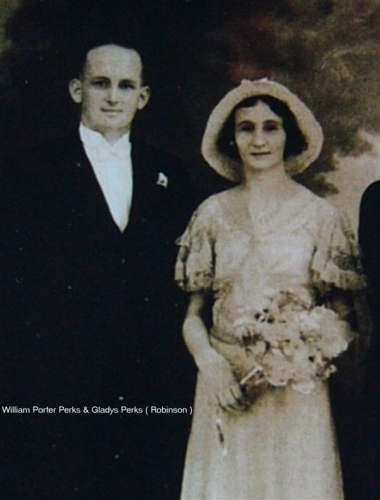 William Porter Perks and Gladys Amy Robinson.